On a Tuesday night I headed out as one of the 400 women who attended the prestigious Women’s Media Center Awards to celebrate women making strides in media.The Women’s Media Center was founded by Jane Fonda, Robin Morgan, and Gloria Steinem. At the WMC, they srive to make women and girls visible and powerful in the media. The influence of the media is the most powerful economic and cultural force today. The brand message of the WMC is simple but powerful: “Amplifying Women’s Voices, Changing Conversation”. The Women’s Media Center trains women experts to be in the media; promotes women experts in the media, does groundbreaking research and reporting on media inclusion and accuracy; produces media style guides, such as the first ever to cover reproductive issues (especially important now that reproductive freedom is under attack in states across the country); and documents and reports sexualized violence as a tool of war in Syria and other conflict regions. Its publication, The Status of Women in U.S. Media Report, is now the industry standard on where women stand, and serves as a map to where women need to go. Guests celebrated the winners of the Women’s Media Center Awards through a cocktail hour, dinner, and awards presentation. The entire night was full of empowered women and inspirational messages. I couldn’t help but leaving the dinner with the “I am Woman, Hear Me Roar” persona. Hosted by one of America’s foremost comediennes, Lily Tomlin, the event was lighthearted, but celebratory over those who continue to make an impact as a voice for both feminism and humanism today. Awards such as the Carol Jenkins Emerging Journalist Award depicted the strides winner Maria Teresa Kumar has made in her career. The WMC also recognized the powerful effects of Social Media as an emerging voice. 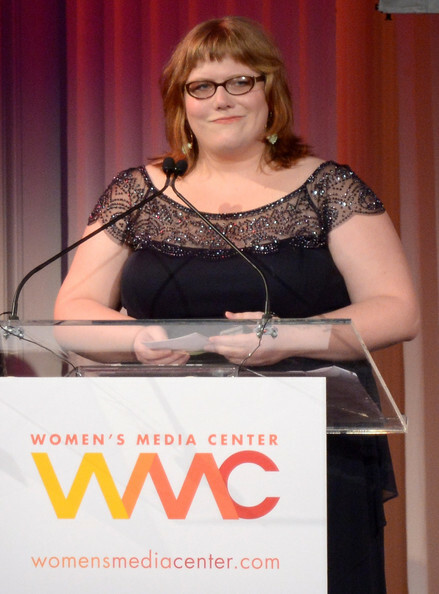 WMC Social Media Award Winner Lindy West was presented the award by Jane Fonda. “The real honor, to me, is just to be nominated alongside all of these amazing women–to have my name on a list next to theirs,” West said at the event. I loved West’s personality, as she showed her appreciation, as well as the thoughts of everyone in the room when she so aptly said “It’s Jane FREAKING Fonda”. In addition to the awards given out at the event, the Women’s Media Center President Julie Burton and 400 guests in attendance toasted Women’s Media Center Co-Founder Gloria Steinem in honor of the Presidential Medal of Freedom that President Obama has announced will be awarded to her. To be in the room with Gloria Steinem, watch her raise her fist to the air, let alone toast to her…was one for the books. Like Lindy West said, to be in a room filled with amazing women left me speechless. I am inspired. I am empowered. We can make a difference. 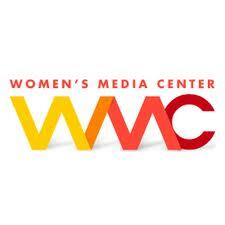 For more information about the Women’s Media Center, please visit here.